The plant codon-optimized PhiC31 (BBa_K1742004) gene was domesticated and standardized as a GoldenBraid part and cloned into the pUPD2 entry vector. The PhiC31 integrase gene was then assembled in a multipartite reaction with the strong promoter from the Cauliflower Mosaic Virus (P35S), and its terminator (T35S). 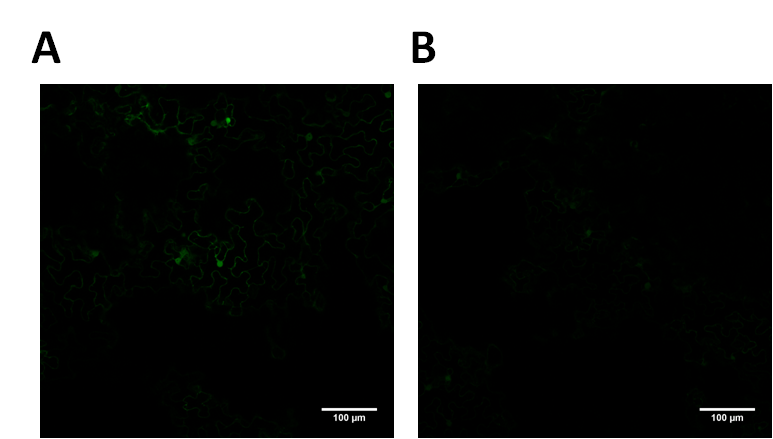 In order to see the activity of the integrase, Valencia_UPV 2015 designed a reporter element (BBa_K1742008) that consists of a Cauliflower Mosaic Virus terminator (T35S) flanked with the recognition sites (attP:T35S:attB:omegaUTR) of PhiC31. 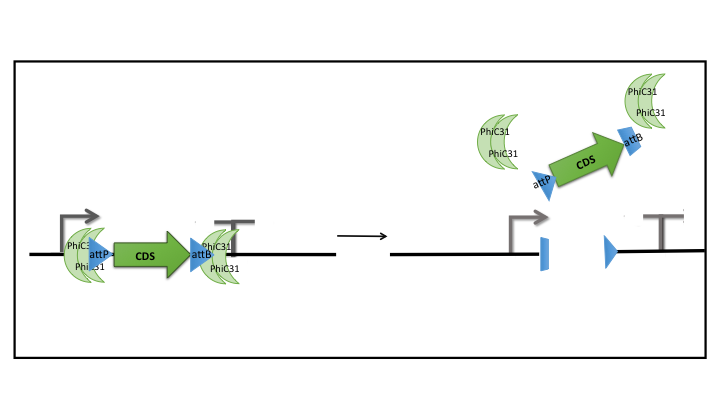 The CDS was subsequently assembled in a multipartite reaction with the P35S promoter with no ATG, the GFP coding sequence and the T35S terminator. With a binary GoldenBraid assembly step we obtained the present multigenic construct (BBa_K1742013) of the previously described transcriptional units. This construct was then transformed, by agroinfiltration, into N. benthamiana plants for testing the expression of GFP.